At any one time, there probably will not be more than 5 executive condominiums for you to choose from. While there may be the occasional odd unit that jumps out from executive condominiums that have been fully sold out (a buyer pulls out of the transaction for various reasons), most of the time if you are looking for choices, there are only a few ongoing executive condominiums that have in excess of 20 units and are still actively marketing and selling. 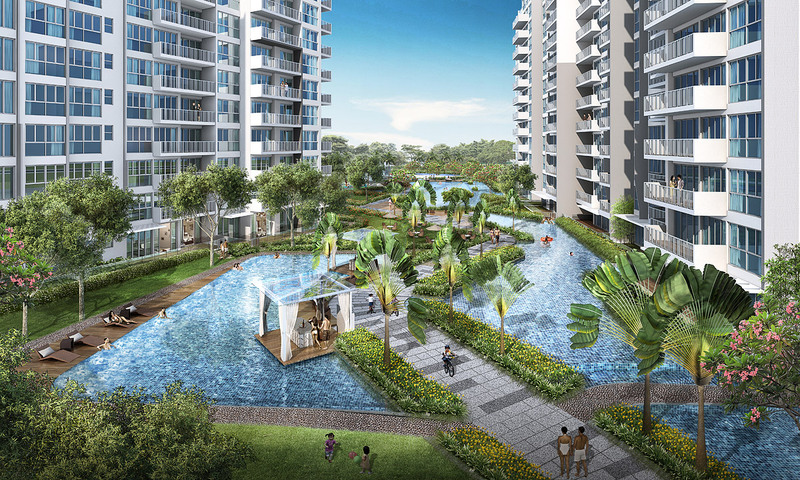 Further narrow this down to the area you want (Woodlands/Yishun, Sengkang/Punggol or Tampines etc), and you will suddenly realize that you are probably able to select from at most three executive condominium projects. In Singapore, buying a home is a big decision. Executive condominiums cater a lot to first-time home buyers or home owners (70% of the units in an executive condo have to be set aside for first-timer applicants during the initial launch). Once a married or engaged couple sits down, discuss and finally decide in buying an executive condo, they will literally be in a rush to quickly book a unit, and you may be experiencing the same now. If time is on your side, you may wait for a few more executive condos to launch and compare. However, we do realize this is actually not the common scenario due to the scarcity of ECs. Executive condominiums launched consist of two phases. The earlier phase is known as the e-app, short for e-application phase. 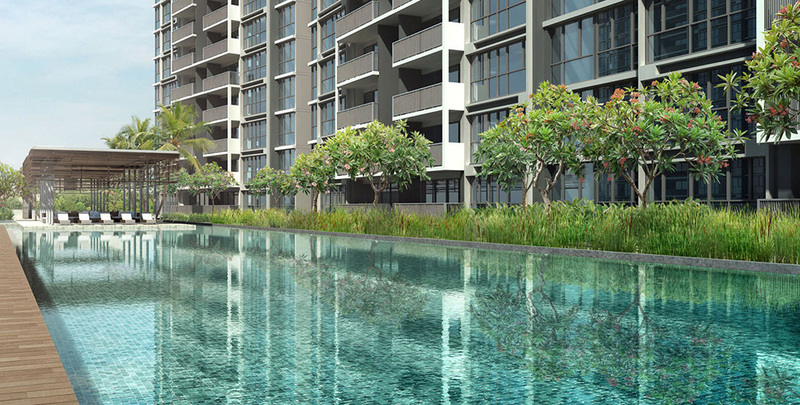 In this phase, the executive condo is not yet launched for sale yet. If you walk into the showflat at this period, you will be asked to submit an e-application by a certain date, to indicate your interest in the executive condo. Most executive condominium developers also do not allow you to view the showroom units at this stage to maintain interest and curiosity among buyers. Note that at this point, there is no commitment on the buyer yet, just an ‘indication of interest’ which is not legally binding. Some developers will throw in incentives like free cashcards or vouchers just to entice you to fill up the e-application form. This is when developers can gauge the level of interest in their EC project. When newspapers report an executive condo as being 2x oversubscribed, it means that there are twice the number of e-applicants for the number of units in a development. However, it does not mean that all the units are sold. Interested buyers should also make use of this period to secure their bank loan too, before the sales of units actually begin. After the close of the e-app phase, the EC will then be open to booking, which is when sales actually start. Applications who submit during the e-app phase will be given priority to view the showroom units, and if they are interested, they can book the units first ahead of others. After this period when the first-timer e-applicants have chosen and booked their units, the remaining units will then be open to the general public (other first-timer applicants and second-timer applicants). People can walk into the showflat and book an EC unit on the spot. Ready to look for an executive condominium? Check out the newest executive condo launch. I am a SPR , single , 32 years old , can I buy a resale EC which more than 5 years old ? And Do I need to sell off my properties in Malaysia in order to buy a resale EC which more than 5 years ? Hi Kristina, yes you can buy a resale EC more than 5 years old. You do not need to sell off your properties in Malaysia. 14 years ago, I sold my HDB flat because of divorce. I did not paid my levy. I don’t work in Singapore. Can I buy a EC? I will pay cash no loan.